I love the theatre. I’ve seen so many shows and studied it myself back at school, it’s a real passion of mine and a fantastic night out, and last year I gave Joe the bug too after he bought me tickets for Charlie and The Chocolate Factory in London! The beauty of the theatre is that you can go with just about anyone and have an amazing time but I think it makes for a really great date night too. 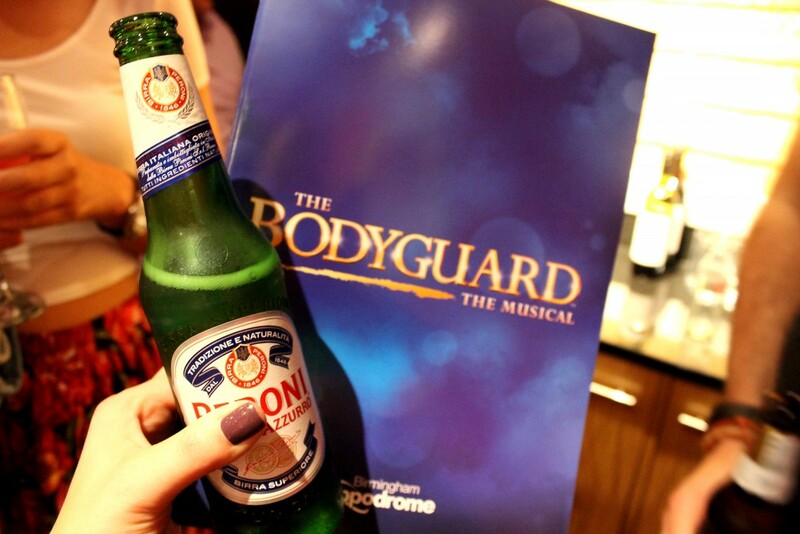 So Joe and I went over to The Birmingham Hippodrome yesterday to give their StageSide Bar and Restaurant* a go as a package with its newest show – The Bodyguard Musical now starring Alexandra Burke! 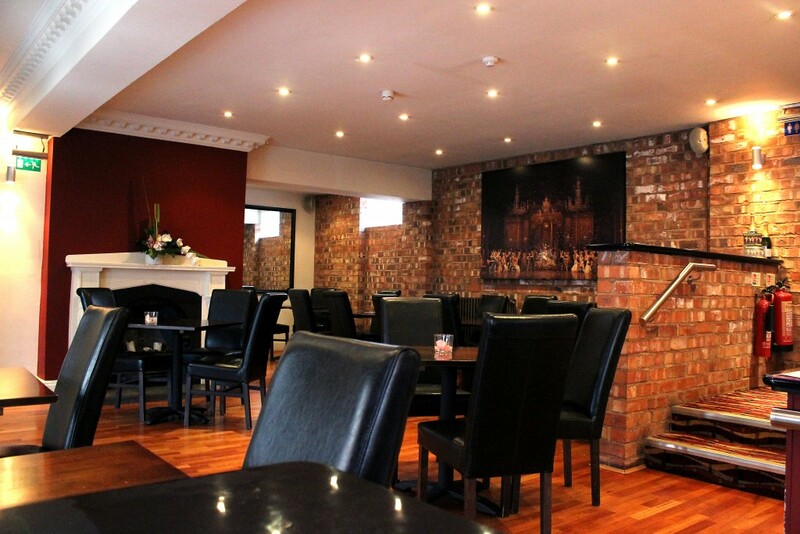 Located right next to the Birmingham Hippodrome is their StageSide Bar & Restaurant – a relaxed open plan restaurant perfect for dinner before your show and a popular haunt for cast members afterwards. 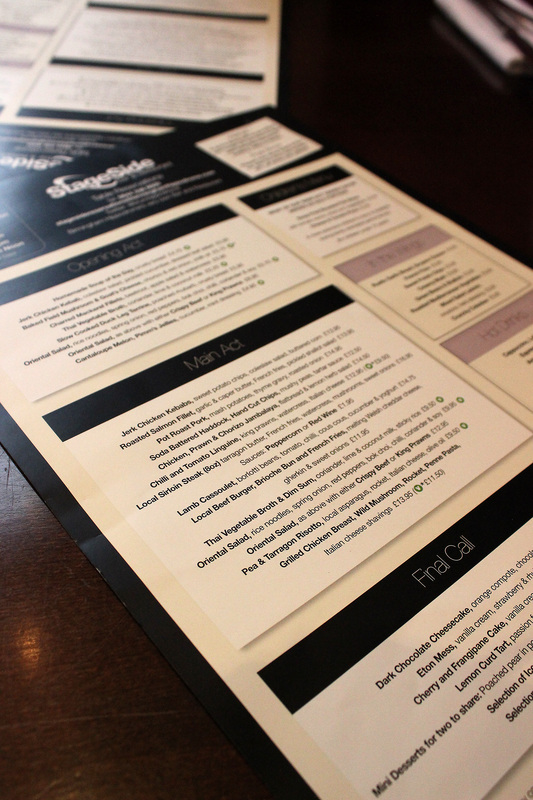 The Hippodrome offer a SideStage Experience package with a glass of champagne, two course meal, a show programme and top price seats with a 20% discount on drinks after the performance from just £77 per person – that’s amazing! And because SideStage is across the road from the Stage Door, you can even pop back over and enjoy your pudding and coffees in the interval…so cute! 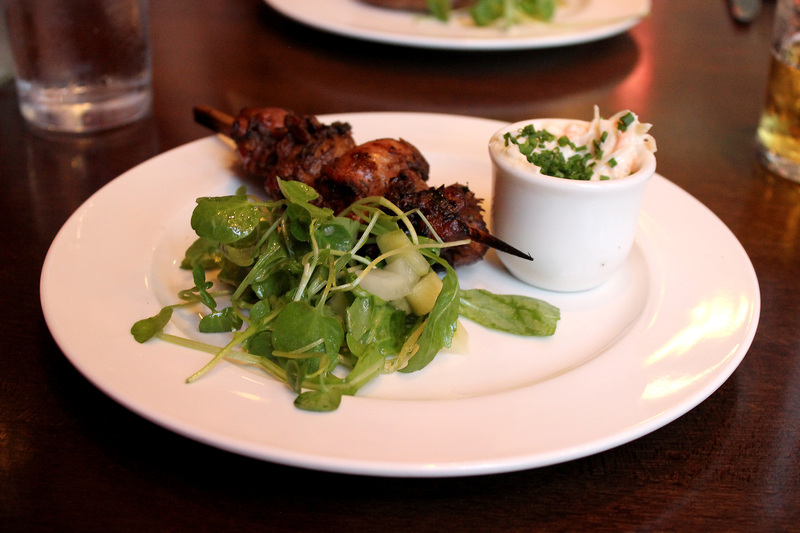 The food at StageSide is good pub grub – I went for Field Mushroom, Goats Cheese and Chorizo (£5.75) to start and Joe chose a Jerk Chicken Kebab (£5.95) which were both really tasty. I wasn’t sure about the mushroom with mine (flashbacks to the garlic mushrooms mums always order) but it went really well and Joe kebab was nice too although it could have been a bit spicier…love me some spice! For main I went for The Beef Burger with Welsh Chedder Cheese (£11.95) because I was starving and it really hit the spot. 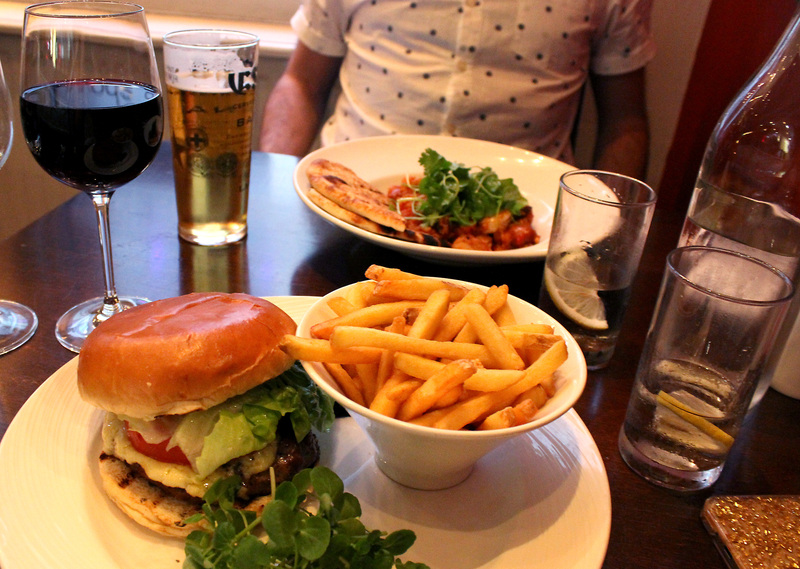 With a strong oozy cheese, meaty burger and killer fries it was a good plate that left me fit to burst with a lovely large French Malbec (£6.70) on the side! 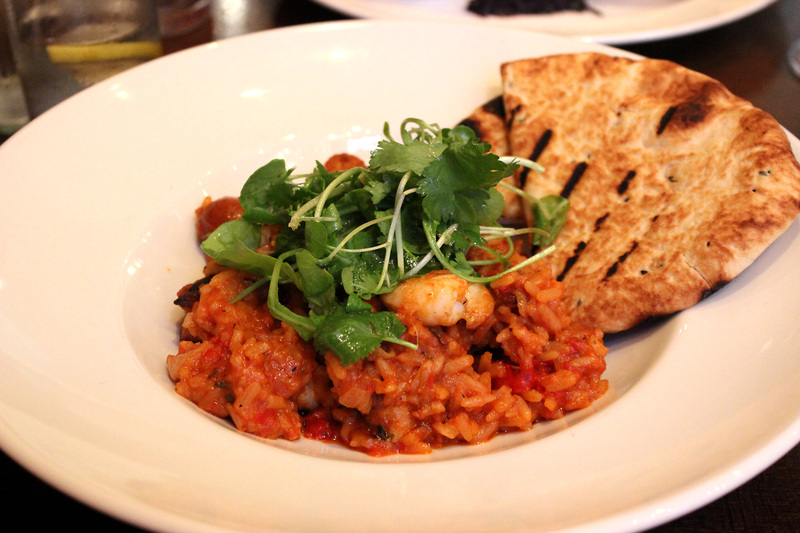 For some reason Joe was on a Caribbean kick tonight and chose a Chicken, Chorizo and Prawn Jambalaya (£14.50) which tasted like a tomato-ey paella and was really nice with a crispy flatbread on the side…again, could have had a bit more of a kick for me! I was too full for anything more than a trio of Lemon, Mango and Raspberry Sorbet (£5.25) for dessert which was very refreshing but a little overpriced and Joe went for the Cherry and Frangipane Cake (£5.75) with Vanilla Cream and Toffee Sauce which was like a flashback to school dinner puddings – in a good way! 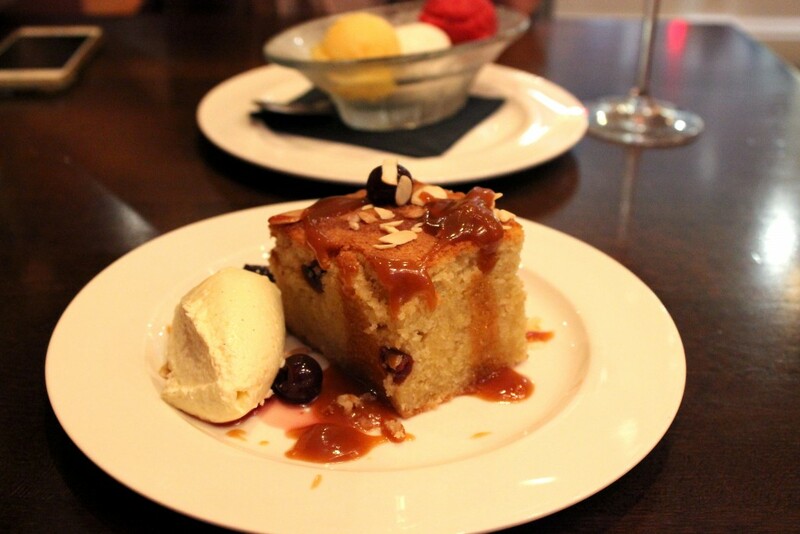 A giant slab of cake drizzled in naughty sauce, it was a monster and went down well. 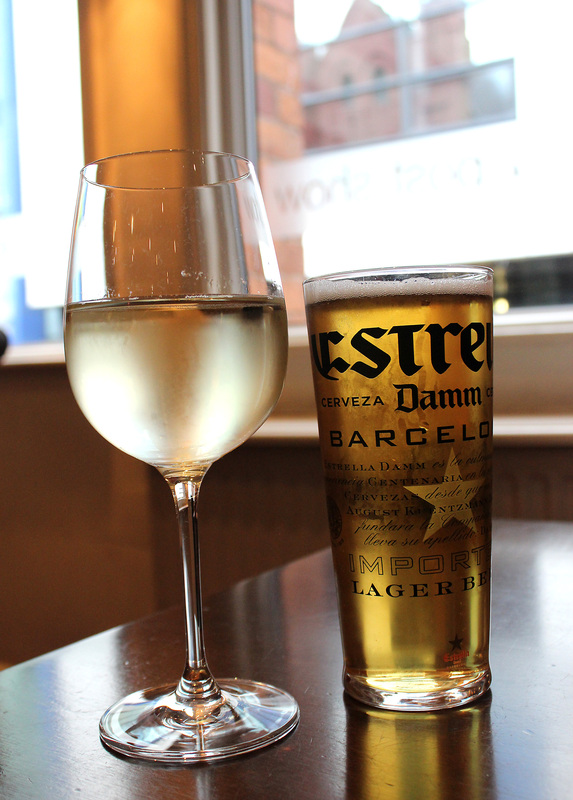 We finished off our drinks and then headed over to the theatre for Press Night of The Bodyguard Musical starring Alexandra Burke! I’ve already reviewed The Bodyguard Musical with Zoe Birkett as Rachel – it was an emotional affair complete with Kim Kardashian crying gifs which you can read here! But this time it was Alexandra Burke’s turn playing lead and boy can that girl sing. 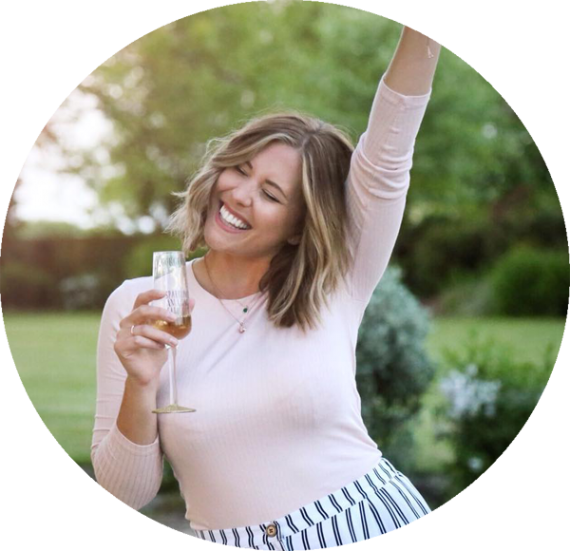 She blasted out all the big numbers with absolute ease and the show was absolutely fantastic once again – it’s really fighting with Wicked for that top spot in my favourites list! 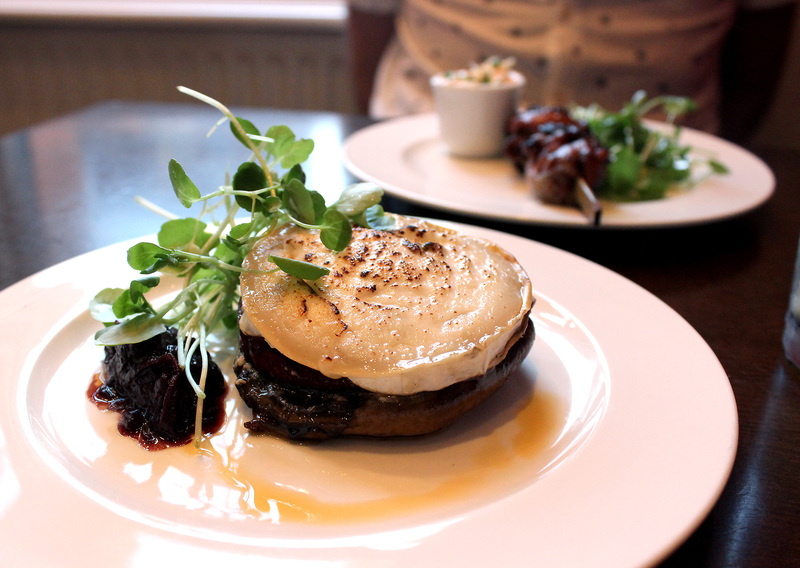 We had such a lovely date night with The Hippodrome and Stagside Bar & Restaurant – The Hippodrome’s food experience packages are a fab idea and really help make the most of your evening at the theatre for a great price too! 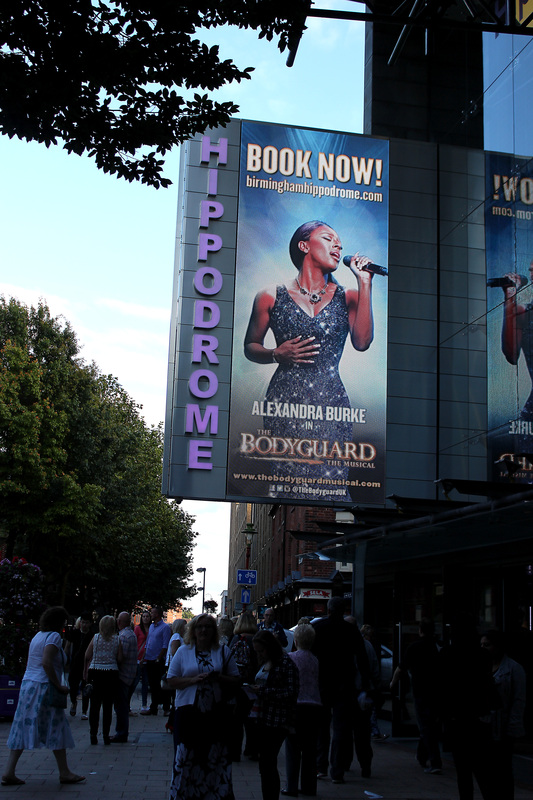 The Bodyguard Musical with Alexandra Burke is playing at The Birmingham Hippodrome until Saturday 5th September and tickets are available at the boxoffice now! Have you seen The Bodyguard Musical? What did you think? Do you think the Hippodrome’s SideStage package would make for a good date night? 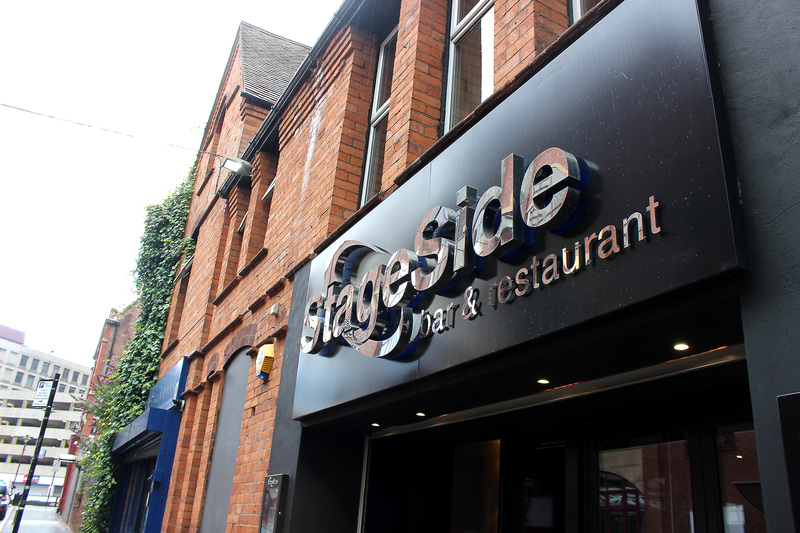 * We were invited to StageSide Bar & Restaurant for a complimentary dinner to coincide with press night for the Bodyguard Musical in exchange for an honest review.